Australian Open Finals – Serene Serena offers no fairytale comeback for Justine as Federer outshines a dangerous Murray in three. So that was that, another stunning fortnight of tennis from the most reliable of the majors – relentless tennis of the highest calibre, and few formalities. 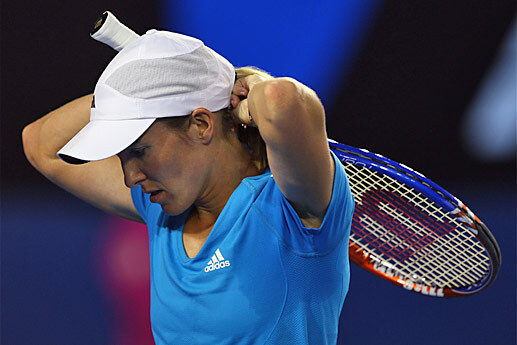 The first of the finals saw two great rivals trade momentum and breaks of serve at will as Justine Henin’s Kim-inspired comeback Slam quest was quashed by old rival and current queen of the women’s game Serena Williams. That remarkable US Open aside, Serena continues to stamp her authority on the WTA tour and the history books by collecting her 5th Australian title (an open era record) and her 12th Major victory equalling Billie Jean King’s record. The American proclaimed that Justine can be number one in the world again, with sister Venus continuing to flounder it may just be up to Serena herself and a certain Kim Clijsters to try and stop Henin. In a high quality match it was ultimately Henin’s still rusty service that proved her undoing, a woeful execution of break point chances didn’t help either. A stunning comeback for a remarkable player, just not perfect enough to match the formidable, irrepressible Williams when it mattered. The men’s final was eagerly anticipated – during his dark 18 months it was Federer who struggled again and again when facing Andy Murray. The Scot has played phenomenal tennis all week, only dropping one set in his campaign (to the brave Cilic in the previous round), and rightfully fancied his chances against Fedex. But it has been quite clear that apart from a bad-tempered uncharacteristic loss in New York last year – this is the Federer of old. All encompassing, effortless, and fully confident with himself and his game again after regaining that number one spot. This was not the beatable Federer and there were few cracks in his performance to allow Murray in and dig under the Swiss’ nose. 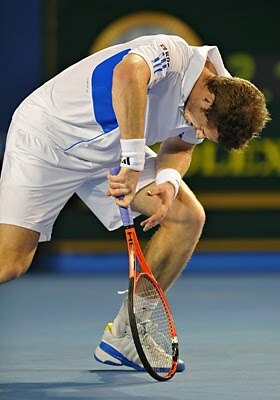 Instead Murray, who had looked unflappable and brimming with energy throughout the tournament, was silenced and subdued – hardly error strewn but often just a tad too conservative and uncomfortable. The magic was nowhere, giving way instead to the sponge-like counter punching that makes up the Briton’s game-plan. A tense tiebreaker finished off the high quality encounter with Murray wasting some golden opportunities to take the set and change the entire story of the match. A wide volley here, a tired backhand into the net there, it was tantalisingly close and for all the ugly roaring of the Murray camp led by lioness Judy it wasn’t to be. A tearful Murray was gracious in defeat, a surprisingly transparent moment for the Scot who has endeared himself ever so slightly to this fan with some humility. His time will indeed come, but Federer will have to be back in the doldrums to be easily conquered.